Saddled with low favorability ratings and an unpopular party, the Romney campaign entered the month of August with one imperative: change the public’s negative perception of their candidate. But rather than make progress in August, Boston forfeited the entire month—one third of the time prior to the election. That stunning act of political malpractice has raised the stakes of the upcoming GOP convention: Romney needs to make a good showing in Tampa, otherwise it may simply be too late for him to pull off a victory. Given tepid economic growth, Obama’s mediocre ratings, and an energized Republican base, Romney ought to be well positioned by now. But the Romney campaign has one overriding weakness that jeopardizes their chances: low favorability numbers. The Obama campaign adopted a strategy to reinforce and worsen Romney's problem by depicting him as an out of touch plutocrat bent on annihilating the middle class to advance the interest of his Wall Street friends. If the Romney campaign possessed an effective response, it wasn’t effectively employed; Boston essentially forfeited their candidate’s biography, record, and policies to a well-researched opposition. 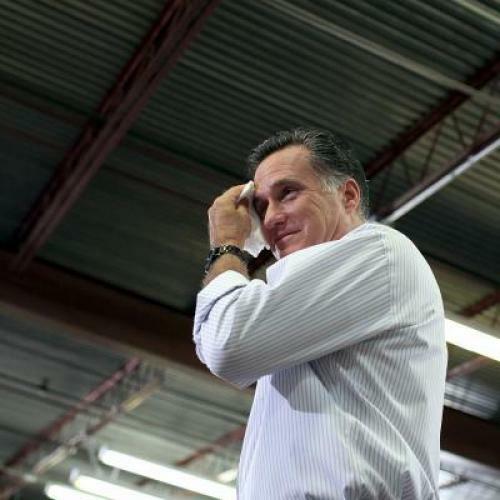 The result is that Romney headed into August with net-negative favorability ratings. Just how bad is that problem? It depends on the poll, but according to some firms, Romney’s favorability ratings are the worst of any recent presidential candidate. Among the undecided voters that Boston claims to be counting on, Romney’s numbers are astonishingly bad. No modern candidate has secured the presidency with a net-negative favorability rating, and while that doesn’t preclude a Romney victory, it speaks to the dangers associated with such low numbers. But while Romney’s numbers were perilously low, Republicans could justifiably take heart in the example of Bill Clinton, who was even more unpopular than Romney in the early summer of 1992 after accusations of infidelity, inhaling marijuana, dodging the draft, and whatever else. In response, the Clinton campaign embarked on a concerted effort to turnaround their candidate’s image heading into the conventions--and it worked. Between playing the saxophone, picking a fellow centrist southerner, the actual Sister Souljah moment, an economic plan roll-out, and all the other pretty pictures you remember from The War Room, the Clinton team managed to dramatically improve their numbers. According to CBS/NYT polling, Clinton improved his favorability rating from minus-24 to minus-12 heading into the convention, and then into positive territory after professing to believe in a place called Hope. Other polls show that Clinton reached positive territory before the convention even began. Regardless of the exact timing, the point is that Clinton didn’t reshape his image just by standing around and being Bill Clinton—the folks in the War Room undertook a deliberate effort to rebuild their candidate after a brutal primary campaign. Romney isn't half as personable as Bill Clinton, so he at least needed a similarly grand rebranding effort heading into the convention, whether by means of a “Sister Souljah moment,” a Vice Presidential selection to get voters to rethink Romney, a new reformist theme, or an attempt to take the high road with a sustained positive advertising campaign. But instead, the Romney campaign wasted August away and arguably made their problems worse. Some of Romney’s problems weren’t his own doing, like Hurricane Akin and the Obama campaign’s ammunition on Romney’s tax returns. But the candidate blew potential gains from an overseas trip by turning into a rallying cry for British politicians and chose a vice presidential candidate who didn’t cause voters to fundamentally rethink their assumptions about Romney. Even more importantly, it’s hard to say that the Romney campaign even tried to redress their candidate’s fundamental weakness. There was no shift to the center, no positive advertising campaign, or whatever else creative minds might have conjured up. Instead, Boston embarked on a tactically savvy but strategically shortsighted and demonstrably false attack on welfare policy. Obama’s numbers are more than bad enough that voters will give Romney a second look. But a Romney comeback must start at the convention next week. Presidential candidates have never fundamentally reshaped their images over the last two months of the campaign. (Reagan pulled ahead late in 1980 after the debates, but voters didn't actively dislike him.) And Romney's challenge is unusually stark after a summer where the campaigns spent hundreds of millions on negative advertisements. So if Romney can’t turn around his image next week, he will probably be saddled with historically bad favorability ratings through November—which would cost him the election unless half the country is willing to unconditionally reject the president. You would think that Boston would have at least tried to prevent this outcome, but in the crucial month of August, for whatever reason, they chose not to define or defend Romney.